You’re welcome to add Google Analytics to your “My Credit Repair Site” website! It’s a free tool enabling you to analyze your website traffic in more depth. 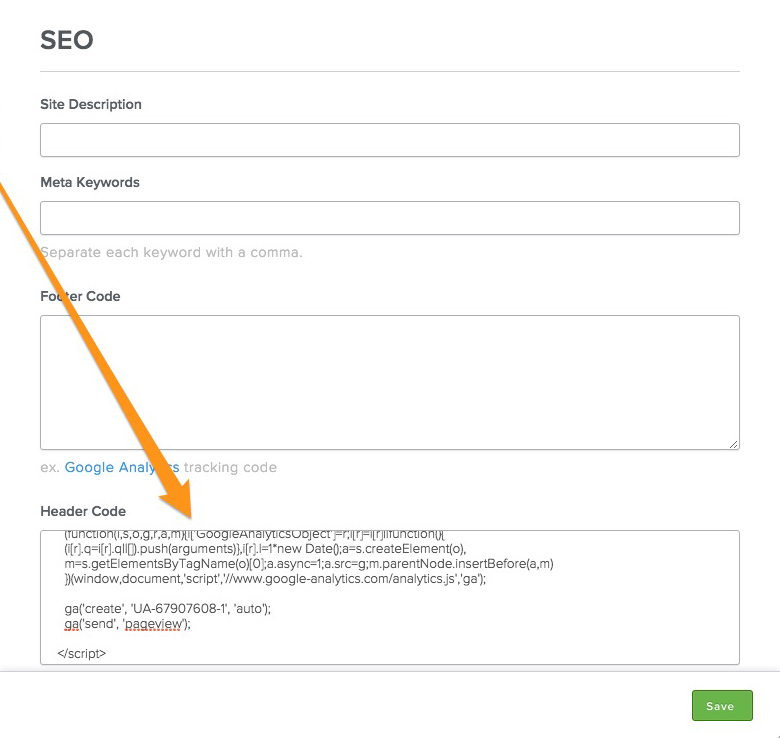 To add Google Analytics to your site, you first need to sign-up for an account (it’s free!) and add your site to that account. Google will provide you with a block of code to add to your site. Copy this code – you’ll need to paste to a specific area of our editor. If you have trouble finding this code, take a look at Google’s help page. Log into your site and click “Edit Site”. Then go to the Settings tab and select the SEO section. Paste the code into either the Header or Footer area. Google prefers the Header currently, but it really doesn’t matter that much. Save and then Publish your site. Google will now begin tracking the traffic to your website. Please note that there is a 24 to 48-hour delay between when you add the code to your website and when stats become available in Google Analytics.